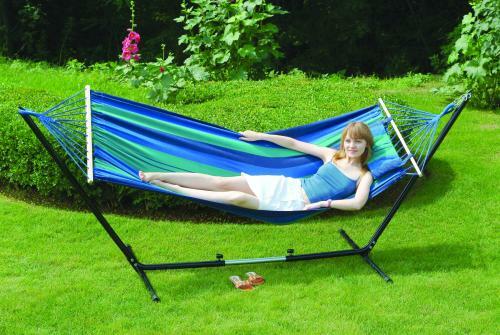 Item Title: Stansport Cayman Hammock/Stand Combo - Double - 79" x 48"
"Very fast shipping! We love it and are going to order a couple more. Thank you very much!" Very disappointed. First in came missing a part. The customer service agent tried to move mountains to get replacement piece. In end they sent replacement but box had ripped I'm transit and it was missing a bunch of parts. Again agent trying but couldn't give gift for Xmas.